A pot of aloe is equal to nine biological air cleaners, which can absorb formaldehyde, carbon dioxide, sulfur dioxide, carbon monoxide and other harmful substances. Aloe vera can eliminate 90% formaldehyde in the air of one square meter, also can kill harmful microorganism in the air, and can absorb dust, have great effect on purifying room environment. When the harmful indoor air is too high, the leaves of Aloe Vera will appear spots. This is the signal for help. Just add a few more pots of Aloe Vera in the room. Indoor air quality will become normal again.9. Brown bamboo: eliminate heavy metal pollution and carbon dioxideBrown bamboo can absorb more than 80% kinds of harmful gases and purify the air, meanwhile, it can eliminate heavy metal pollution and has some resistance to sulfur dioxide pollution. 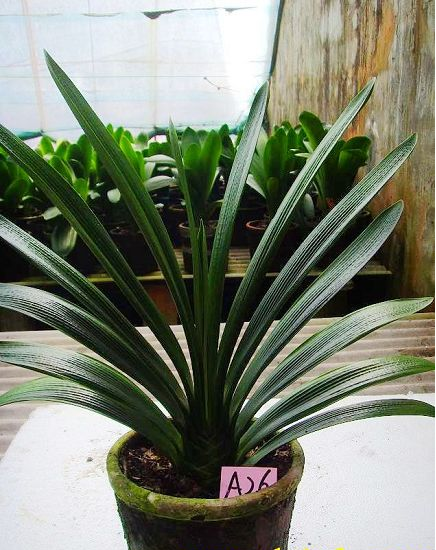 Of course, as large foliage foliage plants, their greatest feature is that ordinary plants can not reach the digestion of carbon dioxide and the production of oxygen function.Aloe Vera is a versatile purifier of air, but the effect of Aloe Vera on removing formaldehyde from the air is more obvious. In addition, tortoise bamboo has the effect of absorbing carbon dioxide at night, to improve indoor air quality, improve oxygen content has a great help. 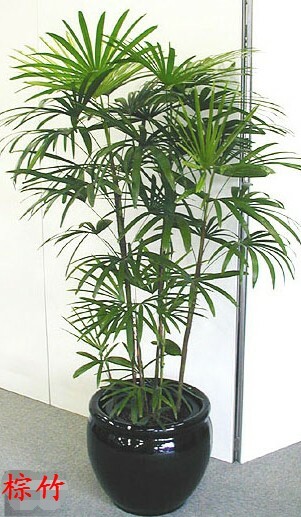 Therefore, it is an ideal indoor plant. The fruits of tortoise can be cooked when they are ripe. The aroma is like pineapple or banana.10. Ivy: Champion in absorbing formaldehyde.Ivy is currently the most effective indoor plant to absorb formaldehyde, the ivy leaves per square meter can absorb 1.48 mg of formaldehyde. Two pots of adult ivy leaves a total area of about 0.78 square meters, while ivy can also absorb benzene this toxic and harmful substances, 24 hours light conditions can absorb 90% of the indoor benzene. According to speculation, 10 square meters of the room, only need to put 2-3 pots of ivy can play a role in purifying the air.11. Rich Bamboo: Healthy plants for bedrooms Fuguizhu can help not often open windows ventilation room to improve air quality, with disinfection function, especially in the bedroom, Fuguizhu can effectively absorb the exhaust gas, so that the bedroom private environment has been improved.12.Trees of Wealth: Fight the exhaust fumes from tobacco burning.It can absorb toxic gases and release oxygen through photosynthesis, effectively absorb carbon monoxide and carbon dioxide pollution, and play a role in resisting tobacco smoke.13. Cactus: the best plant to reduce electromagnetic radiationCactus has a strong anti-inflammatory and sterilization effect, in the fight against pollution, cactus is the best plant to reduce electromagnetic radiation. In addition, cacti night absorption of carbon dioxide release of oxygen. Cactus in the room at night, you can add oxygen, conducive to sleep.